RSR-RCET offers courses in BE (CSE),BE(E&TC),BE (EEE),BE (ELECTRICAL),BE (MECH),BE (CIVIL),Diploma (MECH),Diploma (ELECTRICAL),Diploma (CIVIL),Diploma (EEE),M.Tech. (CSE),M.Tech. (POWER SYS. & CNTRL),M.Tech. (STRUCTURAL),M.C.A.. A renowned team of Architects have designed the campus layout after studying the natural topography, weather conditions and so on. 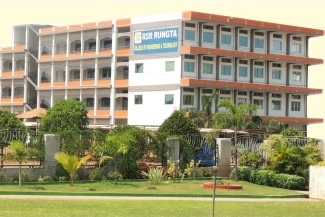 The splendid avenue plantations, imposing buildings and sprawling playgrounds and the greenery in the campus make RSR-RCET as one of the best engineering college in Chhattisgarh. The future plans include upgrading the college to include other disciplines in engineering, post graduation programs in computer applications and management studies. Dr. Prashant Shridhar Bokare completed his Diploma in Civil Engineering with Distinction from Civil and Rural Polytechnic, Wardha (Maharastra). He was First Merit in Diploma in Maharashtra Examination. Then he completed his Bachelor of Engineering (Civil) from Walchand College Of Engineering Sangli, (now an Autonomous Institute, under UGC ACT, 1956) with Distinction. He then completed his Masters in Environmental Engineering from the National Institute of Technology, Nagpur (erstwhile Visvesvaraya Regional College of Engineering) and Ph.D in (Transportation Engineering) in 2013 from IIT, Guwahati. He has 26 years of experience, from 1987 to 2013, in teaching profession in same organization. He rose to become In-charge of Second Shift at B.D. College of Engineering Sevagram, Wardha from the post of lecturer in Civil Engineering Department. For five years he served as Dean Academic in the same college. He was also professor of Civil Engineering. Dr. Prashant Shridhar Bokare has conducted various Conferences and Workshops (self financed) like the International Conference on Emerging Frontiers of Technology for Rural Area, EFITRA 2012, sponsored by AICTE (New Delhi) in March 2012 followed by an another International Conference on Bench Marks in Engineering Science and Technology (IC-BEST 2012), in September 2012. He has conducted Coursework for Ph.D. students of RTM Nagpur University on Research Methodology for 4 consecutive years. He has delivered number of invited talks at various places, including one at Ramdeobaba Kamla Nehru College of Engineering, Nagpur, one at Cummins College of Engineering for Women Pune and one before the august audience of Hydrological Data User Group (HDUG) of Maharashtra. He has to his credit 18 research papers in various National and International Journals and conferences. He has received week long training on Outcome Based Accreditation (OBA) organized by NBA New Delhi at G.H. Raisoni College of Engineering Nagpur. He is Life Member of Indian Society for Technical Education (ISTE) and is actively associated with it. He is also associated with Hydrological Data Users Group ( HDUG ), Maharashtra.